Before the release of Android 5.0 Lollipop with its Material Design UI, the Android SystemUI, Framework, and most apps, both first-party and third-party, used darker colors in accordance with Holo. Since Material Design became the guiding design principle for Android, most apps have changed their UI colors to use copious amounts of white. Recently, we’ve seen Google start to offer dark themes in some of their apps after realizing that darker colors can improve battery life on devices with OLED panels. Now, it seems that Google is finally embracing dark themes once again, as a Googler states that dark mode is an approved Android Q feature. In the Chromium Gerrit (spotted by AndroidPolice), a Googler created a tracker with the title “Modify Core UI elements and create setting to enable Dark Mode” for a new Google Chrome feature. In the feature description, the Googler states that “dark mode is an approved [Android] Q feature.” He goes on to state that the “[Android] Q team wants to ensure that all preloaded apps support dark mode natively.” We’re pretty sure that when they say “all preloaded apps” they’re referring to only AOSP apps here, so we believe that Google intends for all their first-party pre-loaded apps to have dark themes. We’ve seen the Google Phone app, Google Contacts, Messages, Google News, Google Play Games, and YouTube get native dark themes, so there’s already good evidence that Google intends to add a dark theme to all their apps. Since Google Chrome doesn’t have a dark theme (at least, not on mobile) the Chrome team needs to implement dark theme elements in the Chrome browser. The team states that Chrome needs “all UI elements” to ideally be “themed dark by May 2019,” which is when Google I/O 2019 is expected to take place. For Chrome in particular, only core UI elements like the Omnibox, toolbar, settings/downloads/history pages, etc. will be dark themed, so that means web pages won’t be modified to be dark. If you’ll recall, the Android Pie DR1 release that shipped with the Google Pixel 3 changed the way that the Night mode setting in Developer Options works. The setting acts like a toggle for a system-wide dark theme, except only Messages and Google Maps’ splash screen seemed to be affected by the change. We’re several months away from when Google will no longer make changes to the core Android Q features, so there’s still a chance this system-wide dark mode will never see the light of day. The feature description and follow-up comment were both made on October 31st, 2018, so it’s possible that Google’s plans have already changed since then. We won’t know until an Android Q Developer Preview is available. The first Android Pie Developer Preview was released in March of 2018, so we expect to confirm or deny the presence of a dark mode feature when the first Android Q Developer Preview releases sometime in March 2019. This year, however, Google may allow some Project Treble-compatible devices to test Android Q via a GSI, rather than limiting the release to the Google Pixel smartphones and a handful of devices from their partners. 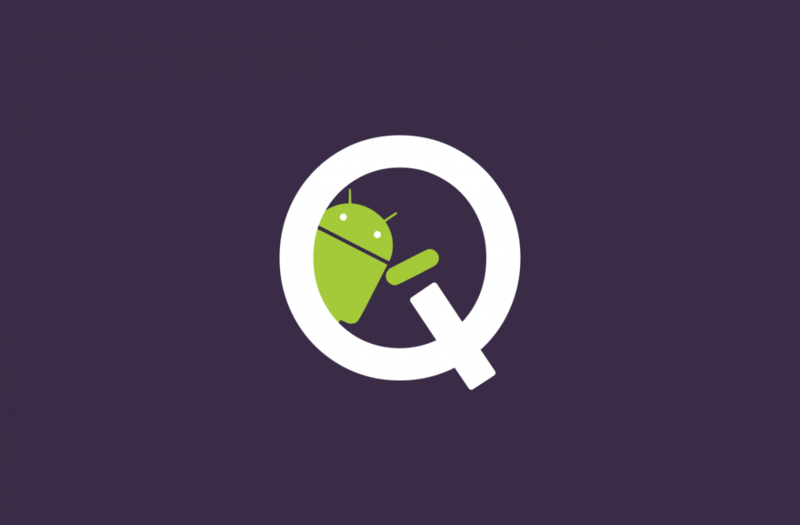 Thus, you may not have to wait until the Android Q source code drops to test the next release on your device. I’m really hopeful that Google will re-embrace dark themes in apps. I’m a big fan of the way that both OnePlus and Samsung implement system-wide dark themes. I was hoping that Google would allow for more UI customization since Android Oreo allowed for third-party overlays to be installed. Sadly, Android Pie blocked third-party overlays from being installed, which isn’t too surprising but was still disappointing for users who are fans of the stock Android experience but aren’t fans of how bright the UI can be. Please don’t play with my emotions, Google.